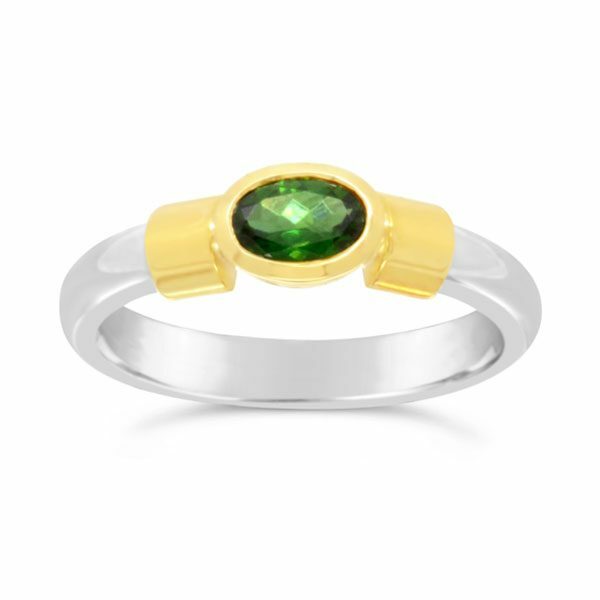 A handmade silver and gold ring with an oval faceted 6x4mm green tourmaline stone. 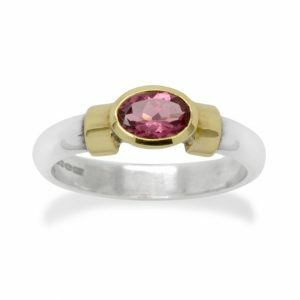 The stone is set in an 18ct yellow gold setting with 18ct yellow gold shoulders. 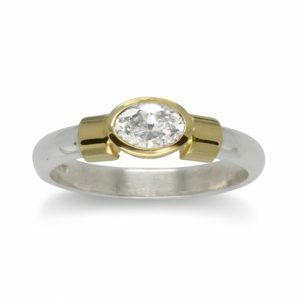 The silver ring shank is 3mm wide in a curved D section shape. 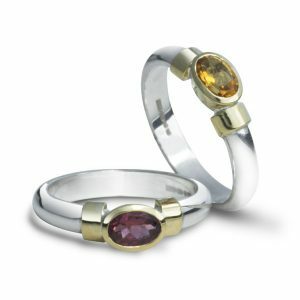 we often make this ring by request with a white gold or platinum ring shank, especially if it to be for an engagement ring.